Who knew one little undershirt could do so much? Hey guys, lacking a six-pack? No need to start with mind-numbing exercises when you could be shopping instead! Wait a sec, let us start over. 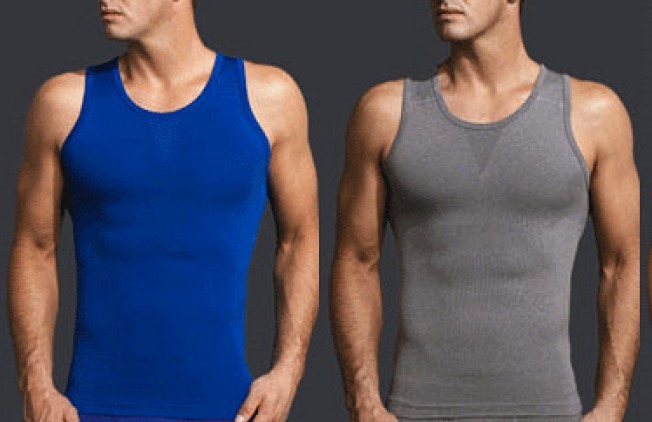 Enter the Core Precision Undershirt, also known as the "Wondershirt," from Australian brand Equmen. This is no average undershirt -- the maker says it improves posture, reduces back pain, supports core muscles and (wait, there's more!) controls body temperature, too. This magical Wondershirt is now available at Saks Fifth Avenue at Tysons Corner. The shirt's reportedly been selling out at European department stores. And Europe doesn't have half the obesity crisis of the United States, so just imagine the success it should find here! It'll be like Spanx for men. A combination of compression technology and "next-generation" fabrics map the body's key muscle groups to reinforce structure. In other words, it's "slimming." For $89-$99, we sure hope it is.